Are you a laid back, beach loving-kind of history buff? Well this episode is a treat for you. In Season 4 we traveled to San Diego, CA. No metropolitan city in California captures that SOCAL feeling like San Diego. 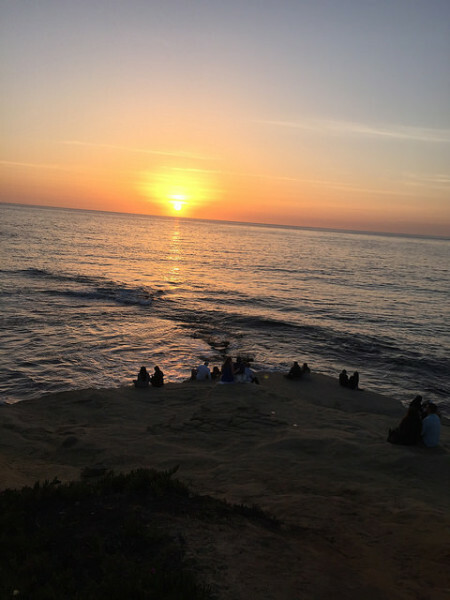 Known for its delightful climate and abundance of family-friendly activities, as well as, a dash of luxury and fun for singles, San Diego, CA is one of southern California’s most popular destinations. With an atmosphere that reminds many visitors of Monterey and the Bay Area in northern California, it’s an unexpectedly peaceful and quaint destination just south of Los Angeles. East Coasters will love seeing the sunset over the Pacific every night. They say you can see a slight green flash the last instance before the sun disappears, and I swear I did! Sunset at La Jolla, one of the many neighborhoods of San Diego. Photo by Joe Dorsey. Originally settled by the Kumeyaay people, the first Europeans to arrive were by Spanish ships captained by the Portuguese-born Juan Rodríguez Cabrillo. He named it San Miguel in 1542. When visiting San Diego, you’re likely to notice the Spanish influence. After all, it was under both the Spanish and Mexican flags. If you’re wondering, it became known as San Diego once Sebastian Vizcaino surveyed the harbor sailing aboard the ship, San Diego. Kumeyaay people. Photo via wikipedia. In October, 1913, President Woodrow Wilson set aside 0.5 acres of land for the formation of this historic site. Although this was the moment when Cabrillo National Monument was born, its history stretches much further back in time. 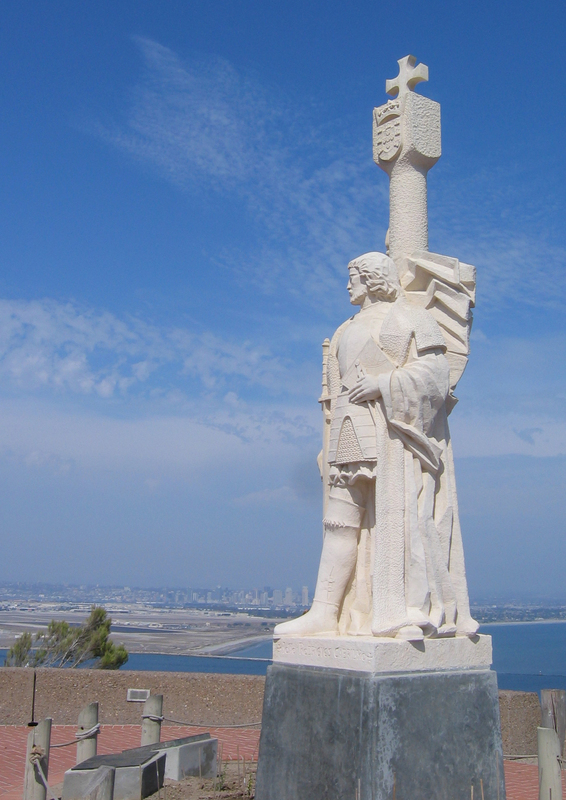 Juan Rodríguez Cabrillo landed in San Diego Bay on September 28, 1542, his arrival was the first European contact with what we now call the West Coast of the United States. Don’t just come here for the history, though. In the park, you’ll find a beautiful old lighthouse, built in 1855 – the Old Point Loma Lighthouse. The views of the ocean from here are breathtaking, too. 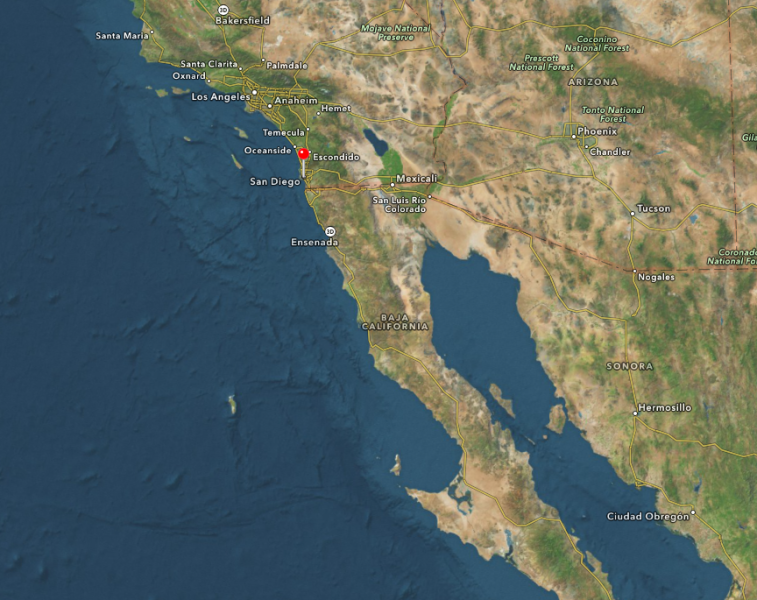 On a clear day, you can see the Coronado Islands and Tijuana, Mexico. There’s also a small museum featuring exhibits about the Cabrillo discovery. 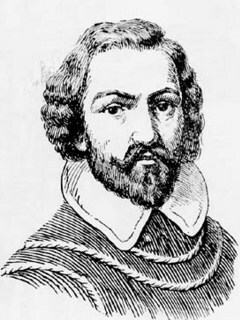 Juan Rodríguez Cabrillo. The discoverer of San Diego. Photo via wikipedia. Cabrillo National Monument. Photo via wikipedia. A nonprofit organization formed in 1992, with the goal of preserving the history of the USS Midway and becoming “America’s Living Symbol of Freedom.” In 2004, the organization opened a museum with the intent of educating the public. The USS Midway itself was the longest-serving Navy aircraft carrier of the 20th century, and onboard, you’ll find 29 restored aircraft. It was built right at the end of WWII and saw extensive action in the conflict in Vietnam and the first Persian Gulf War. This aircraft carrier-turned museum is enormous. You can spend hours perusing the flight deck looking that navy jets, or below deck seeing how life was like at sea for the sailors and marines. The kids will love the interactive simulators, and the adults will love…well everything. 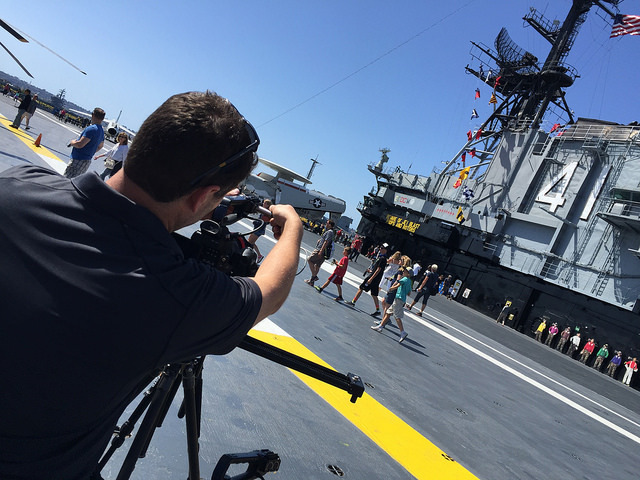 This is why the Midway is one of the most popular San Diego tourism destinations and the most popular military destination to visit in the country. From the flight deck, you can see active US Navy vessels entering the harbor. USS Midway serving in the Pacific in 1974. Photo via wikipedia. TTH Director John on the Midway flight deck. Photo by Joe Dorsey. The Maritime Museum of San Diego is an exciting place to visit – we spent a day learning about San Diego’s maritime history, boarding the ships and learning about the Maritime museum’s newest treasure, the San Salvador, a replica of Juan Rodríguez Cabrillo’s historic vessel, which will soon be on the water. The build site for the San Salvador is open to the public, too. Watch master shipbuilders bring history to life as they replicate the San Salvador. When completed, the ship won’t be dry-docked. She’ll sail the California coast, educating schoolchildren and the public. The 1863 Star of India at the San Diego Maritime museum. Photo via wikipedia. If you’re interested in high seas adventure, the Maritime Museum is one place you won’t want to miss. The San Salvador is a prize unto itself, but other ships in the museum’s collection include the B-39 Russian submarine, the Berkeley, a steam-powered ferry that rescued thousands of people during the 1906 San Francisco earthquake, and The Star of India, an amazing tall ship that did 21 circumnavigations. Locals have seen it off in the distance for decades, but after 80 years, visitors to the Museum of Man can finally climb the California Tower and get a peek at its amazing view. One of several buildings completed in 1914, the California Tower officially opened to the public as part of the Panama-California Exposition. The design for the entire complex was created by Bertram Goodhue, and the influence of Mexican and Spanish churches is obvious in the appearance of the museum complex. 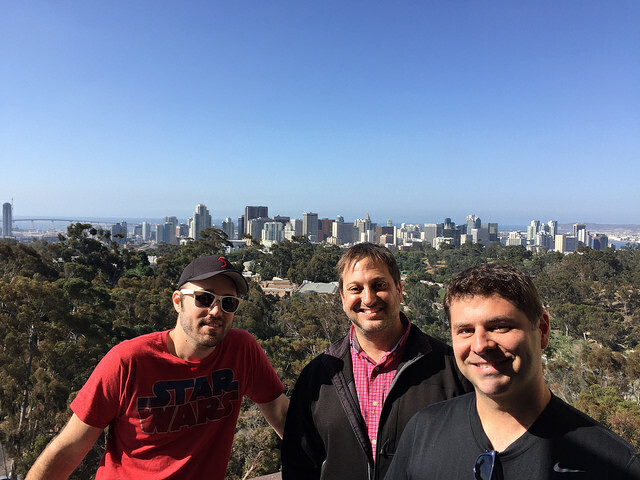 Left to Right: TTH Producer Joe Dorsey, TTH Producer Paul Gramaglia and TTH Director John DeMaio. View of the SD skyline from the California Tower. The California Building, where the California Tower is located, is a symbol of the city of San Diego. Architecturally, you’ll notice a mix of Plateresque, Baroque, Churrigueresque, and Rococo styles. The building was open from 1915-1935 to the public, served as a Naval Hospital during World War II, and reopened recently, offering spectacular views of Balboa Park, including the San Diego Zoo, the Cuyamaca Mountains, Coronado Bridge, and even Baja California, Mexico. The California Tower, San Diego. Look very closely and you’ll see the Travel Thru History drone which didn’t fly very high, because the airport is near by. Photo by Joe Dorsey. When you’re done with the tower, check out the rest of the Museum of Man. The eclectic exhibits include Mayan Stelae, the Lemon Grove Mummy, and an ancient beer making demonstration. 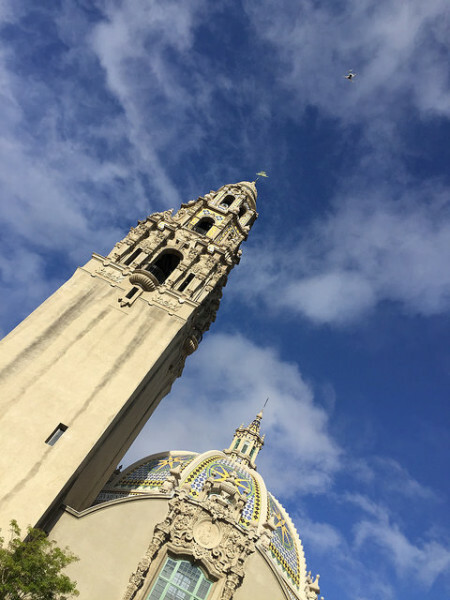 Located in Balboa Park, we suggest you spring for the park’s Mutli-Day Explorer/Zoo Combo – you’ll get access to 17 museums and the world-famous San Diego Zoo for 7 days. This is the West Coast’s answer to New York’s Central Park. There’s no way you’ll see everything, but you will have a lot of fun trying! I can’t in good conscience not mention the most popular zoo in the country and arguably the world; the San Diego Zoo. Owned by the citizens of San Diego, this 100 acre facility houses over 3,700 animals. It is definitely worth the visit, and the zoo is one of the most impressive stops. Paved paths that rise and fall with the natural landscape, massive aviaries for large birds of prey, and a botanical collection with more than 700,000 specimens are just a few of the zoo’s perks. Outside of San Diego proper, the San Diego Zoo Safari Park is another amazing stop – it serves as the home to an additional 2,600 animals of 300 different species, and allows visitors the unique opportunity to fly over in a hot air balloon, take a tram, and get to know the park’s animals in special talks and lectures with their keepers. It’s an unbeatable experience – don’t miss it! A popular city for tourists and business travelers, San Diego, CA offers a wide variety of delectable cuisine. 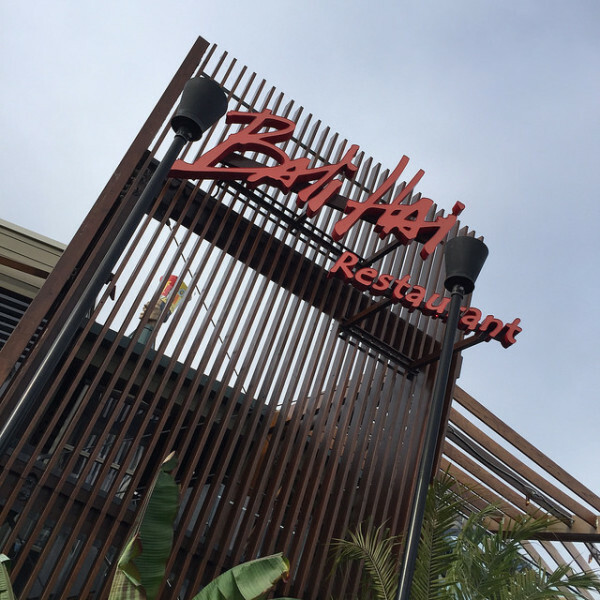 From the world-famous Mai Tai at Bali Hai to west Mex and fantastic Indian cuisine, anything you can imagine is likely to be on the menu. We loved the following restaurants, and can bet that you will, too. San Diego may not have invented the fish taco, the origin is believed to be Mexican, but you may never have a better fish taco anywhere in the world. We stopped by Puesto‘s headquarters in Seaport Downtown, and feasted on tacos that could’ve been behind glass. All natural, sustainable and organic, if you have a fish taco or any taco downtown, it should be here. 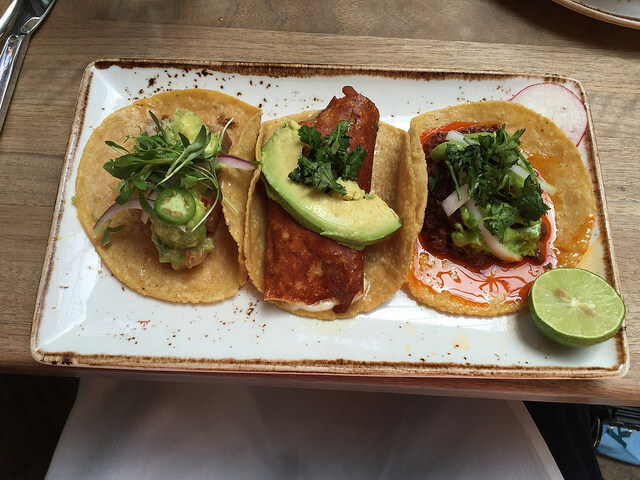 Our tacos from Puesto. Photo by Joe Dorsey. Looking for American fare and a dive-in theater? That’s right. Dive in. As in, dine and watch a movie from the pool at the venue’s weekly film screening… The Pearl is perfect for you. Great flavor and a unique venue combine to give this fine-dining spot a fun feel. 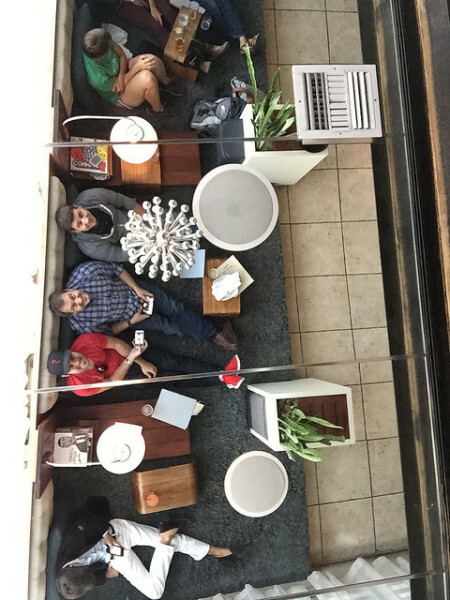 There’s no formality in this setting (unless you want it) – we ate on the floor! Just pull up a chair, hop in the water, or grab a spot on the floor, and enjoy the vibe. Of course, if you prefer a more formal setting, eat in the main dining room or in one of the luxurious poolside cabanas. It’s hard to not find the experience you’re looking for here. You won’t be sorry, and you’ll love the break from the traditional. The TTH crew eating on the carpet…on purpose. Photo by Joe Dorsey. The famous Bali Hai Tiki bar. Photo by Joe Dorsey. One of San Diego’s best kept secrets is this quaint little café in the La Jolla neighborhood. It’s a short walk from the cove, where you can get up close and personal with seals and enjoy an incredible view of the ocean. The café opens at 5AM, so even if you need to get an early start, you’ll find great service and delicious vittles waiting for you. 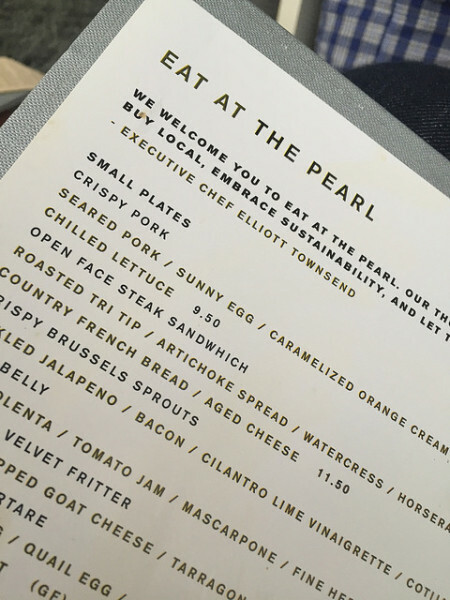 Frequented by locals and tourists alike, the café is an unassuming location, but don’t let its modest appearance fool you – it’s known as one of the top social spots in La Jolla, and offers a menu that’s kid-friendly, taste bud (and nutritionist) approved. If you’ve been to San Diego, share your favorite experiences with us in the comments. If you’d like more information on a trip to SD visit the San Diego Tourism Authority. Liked the article? Do us a favor and share it. And whatever you do, don’t miss our San Diego episode of Travel Thru History! I'm a fan of honest words, clarity, and impact. A writer, editor, and translator, I spend my days guzzling coffee like a champ, living the expat dream, and being mom to world's sweetest preschooler. I’m co-owner and copywriting head at Rusmexus Writers, a history buff, and have a background in international relations.